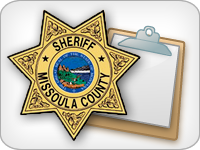 The Missoula County Inmate Information Portal provides information to the public with regard to inmates in the Missoula County Detention Facility. Missoula County attempts to include only accurate and complete information on this website and updates this information regularly. Users are cautioned, however, that the information provided on this website may not reflect the most recent information or status regarding an inmate. 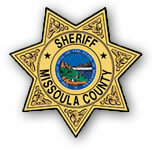 Missoula County makes no express or implied guarantee concerning the accuracy of this information. 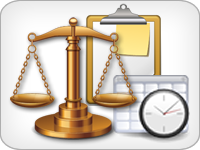 The most accurate records will be kept by the arresting agency or the court in which the inmate's case is filed. If you believe any of the information on this website is in error please contact the Missoula County Detention Facility at (406) 258-4000. By using this site you agree to the terms of this disclaimer. Use this portal to locate information about current and recently released inmates from the Missoula County Detention Facility. Information is divided up into three major areas, including the Current Inmates Roster, the Court Schedule for current or released inmates, and Released Inmates Roster. The Daily Jail Roster is a current list of inmates being housed in the Missoula County Detention Facility. This is a report on the times an inmate is scheduled for a court appointment for the current day. The Released Inmates Report is a list of individuals who were released on the current day.